After 30 plus years, Scooby-Doo fans are finally going to get the answer to a question that has most likely haunted them into adulthood. Some may have even had to seek professional help to cope. What is that pressing question? "Who is the 13th Ghost of Scooby-Doo?" 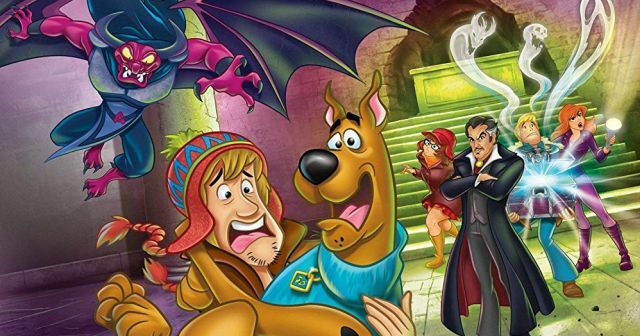 We FINALLY get an answer with the release of the all-new animated feature Scooby-Doo! and the Curse of the 13th Ghost. Mystery Inc. withdraws from solving crimes after botching a case in Scooby-Doo! and the Curse of the 13th Ghost. When Vincent Van Ghoul contacts the gang about an unfinished investigation from Daphne, Shaggy and Scooby's past, the gang springs into action to finish the job that involves catching the 13th Ghost that escaped from the Chest of Demons and is still at large. If you remember, the original 13 Ghosts of Scooby-Doo show had Daphne, Scooby, and Shaggy joined by annoying child Flim-Flam and the irritating Scrappy-Doo to capture 13 demons in a magical chest. In the show, the gang only apprehended 12 of them. The rest of Mystery Incorporated are brought in to help find the 13th and finally put an end to this cold case. Along the way, we get the background on how Vincent Van Ghoul came across the Chest of Demons and the toll its taken on him personally over the years. Vincent Price fans will be overjoyed to hear Van Ghoul is back and voiced perfectly by Maurice LaMarche. He captures the essence of the legendary horror actor with his every breath. One character who, thankfully, doesn't return for Scooby-Doo! and the Curse of the 13th Ghost is Scrappy-Doo. He's mentioned in passing and Fred asks, "What's a Scrappy?" Let's keep it that way, folks. Unless he's brought in to be done away with once and for all. I will give warning that Scooby-Doo! and the Curse of the 13th Ghost might be a bit too frightening for some younger viewers. The monsters are pretty scary and we see people attacked by them. I would recommend parents watching this with their 10 and older kiddos before letting anyone below that watch it. The voice cast for Scooby-Doo! and the Curse of the 13th Ghost features all the great actors who have been bringing these characters to life over the years. Frank Welker returns as Scooby-Doo and Fred. Shaggy is voiced by Matthew Lillard. Grey Griffin plays Daphne once again. Kate Micucci lends her talents to Velma since taking the role over in 2016 from Mindy Cohn. Scooby-Doo! and the Curse of the 13th Ghost will thrill fans who have been waiting decades (literally) to get some closure to the original show. Newcomers will no doubt find themselves looking for the 13 Ghosts of Scooby-Doo series to catch up on and get the full story. Either way, it's a fun animated feature all different ages will enjoy. Scooby-Doo! 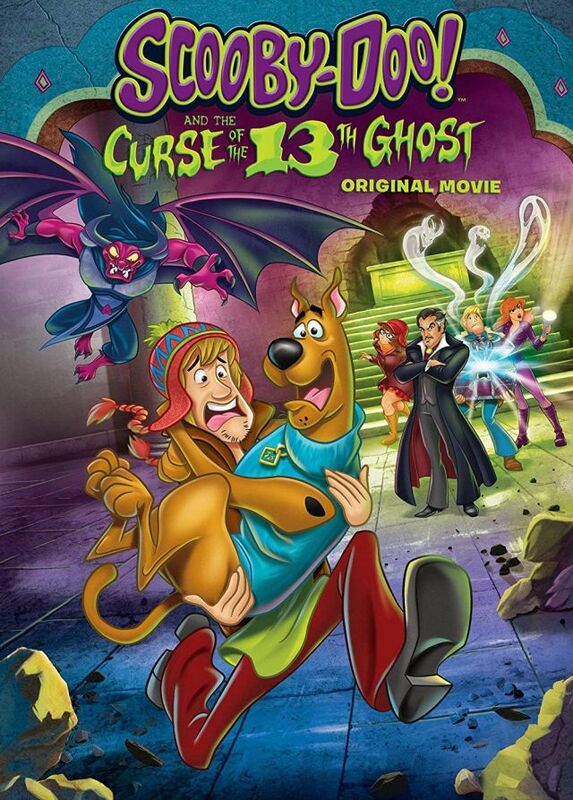 and the Curse of the 13th Ghost is available now on DVD.